Happy Wheels is a new program launched in Summer 2015 that is designed to serve families who wait for hours without leaving the hospital or their child’s bedside. 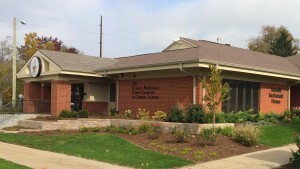 Ronald McDonald House Charities® of Central Illinois is committed to serving as many families of seriously ill children as possible; however, not every family served at the Children’s Hospital has the need to stay at the Ronald McDonald House. 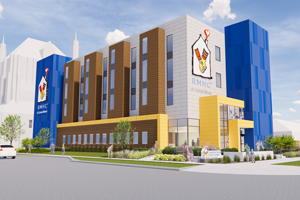 The program allows RMHCCI to serve more families in a new way than ever before. The Happy Wheels hospitality cart provides a bit of comfort as it travels the hospital hallways, bring parents some needed relief while keeping the little ones entertained with books, fun activities and toys. It is meant to spread cheer to all, young and old, during their visit to the hospital. As a part of this new program, we ask for support to continually stock the Happy Wheels hospitality cart with items to distribute to families. Please view the list below and consider how you might be able to help us keep the cart full in order to sustain this program. Thank you for your support! **Please note that all items must be new, never before been used. Thank you!